The Temporary Camp now features four clamshell tents and some storage containers, in addition to the generators and a bulk fuel tank. Soon it will be ready to accept the first occupants. 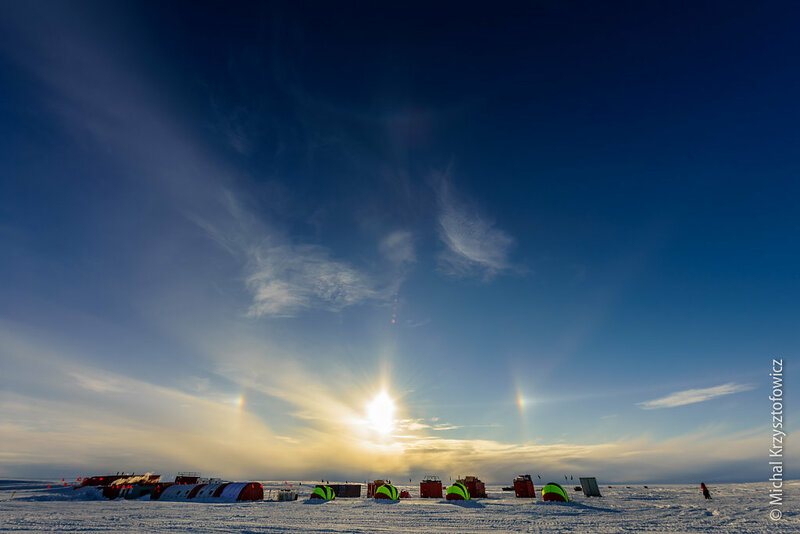 Overhead a sun halo can be seen with two sun dogs as well as the beginnings of the parhelic circle (a bright line parallel to the horizon and at the same level as the sun and the sun dogs). In addition a very faint circumzenithal arc can be seen high in the sky.